Because I can’t find somewhere to put it. Mods, if I’ve mucked up, do your thing. Details of Seven’s presence at the Royal Easter Show, as per today’s liftout in the Sunday Tele. Mike Dalton’s reports for Nine > the novelty of seeing Prime7 & WIN at Homebush > whatever Seven’s doing. 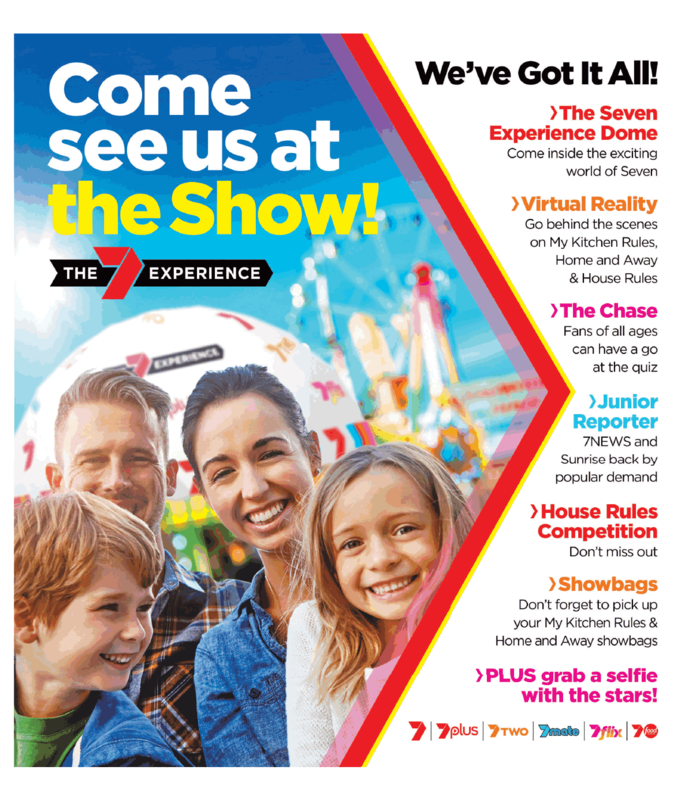 The 7 Experience is only open 10:00am to 5:00pm Mon-Fri, until 6:00pm weekends and public holidays, but the Show opens at 9:00am and closes from 9:30pm. The stand should be open for longer. 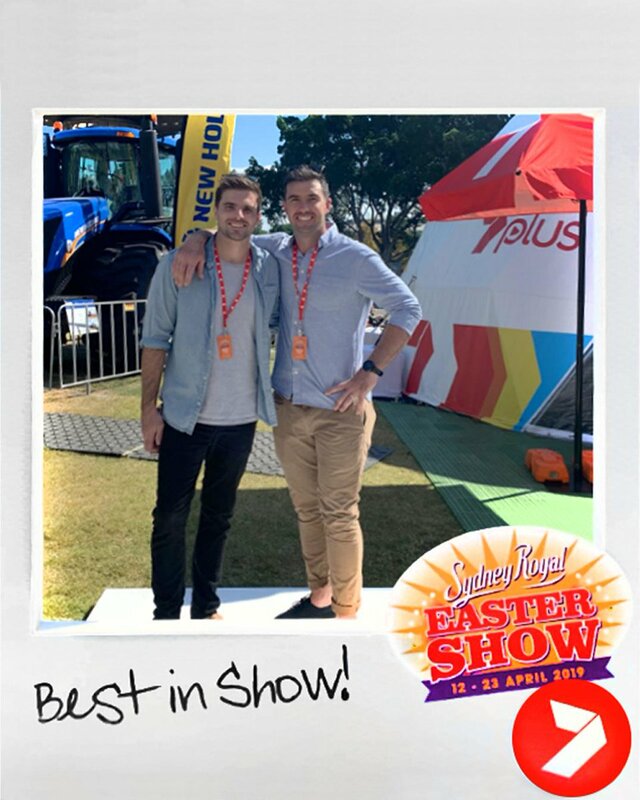 I will visit the Royal Easter Show for the first time, on Easter Sunday. I should remember to visit the Seven stand. Maybe there should be a dunking tank for him - raise money for some worthwhile charity. That or a punching booth. Now that would be a stand I’d like to see! One side is a mock up of the Chase Australia set where Andrew O’Keefe asks random questions and you try to answer them. You can get a photo of you at the buzzer afterwards. I did this one. 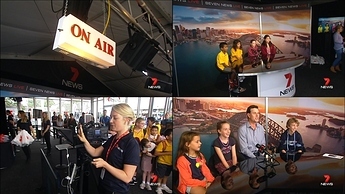 The other side are video areas for a mock Sunrise weather cross and 7 News Sydney set. I didn’t do this one. Didn’t take photos of the MKR or H&A showbags, but they didn’t interest me. My Kitchen Rules contestants Matt and Luke visited Seven Experience today. I didn’t get to visit the Seven Experience when I went the Royal Easter Show today, I arrived at 4.45pm and the tent closed at 5pm. 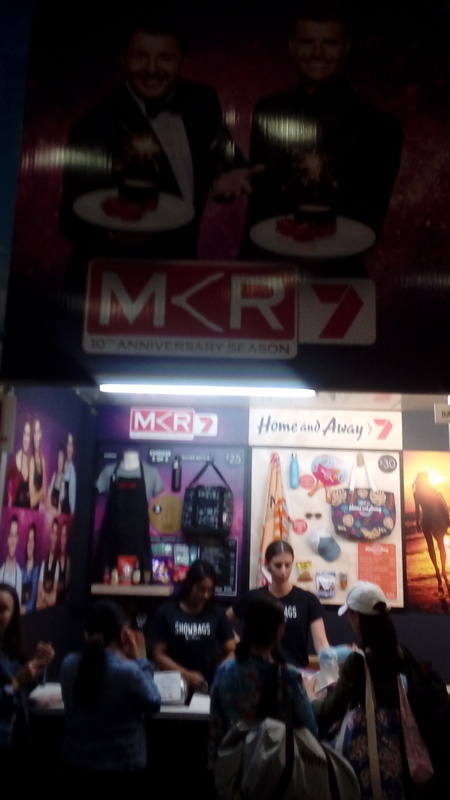 I did take a photo of MKR and H&A showbag however. While I’m sure the average show-goer would get a decent enough kick out of presenting a mock segment from either of the cardboard Seven News Sydney, Sunrise Weather or The Chase Australia sets, I think media enthusiasts like us would be rather underwhelmed by it overall. Seven had a far better set-up at the Royal Easter Show in 2010 when news bulletins were presented there.